Combination therapies have become a standard of care in advanced renal cell carcinoma (RCC) in the United States following the FDA approval of nivolumab (Opdivo) and ipilimumab (Yervoy) as a frontline treatment for patients with intermediate- and poor-risk disease. Bradley McGregor, MD, explained that combination therapies are now poised to have a global impact. 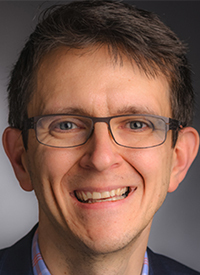 “As we look toward the future of RCC, combination therapy, particularly in the frontline setting, is going to become a new standard of care around the world,” said McGregor, physician, Genitourinary Oncology program, Dana-Farber Cancer Institute, and instructor of Medicine, Harvard Medical School. In the pivotal phase III CheckMate-214 trial that led to the nivolumab/ipilimumab approval, the frontline combination reduced the risk of death by 37% versus sunitinib (Sutent) for patients with poor- and intermediate-risk RCC.1 Additionally, this patient population had yet to reach the median overall survival (OS) with the combination versus 26.0 months with sunitinib (HR, 0.63; 99.8% CI, 0.44-0.89; P <.0001). Though combinations have demonstrated clinically meaningful benefit in RCC, they may not be appropriate for all patients, noted McGregor. In an interview with OncLive®, McGregor discussed the impact of combination therapies on the treatment landscape and highly anticipated studies in RCC. OncLive: How have combinations taken hold in RCC? McGregor: That is a very important question. When we look at kidney cancer and the evolution of therapy for kidney cancer, there were no changes for almost 10 years. Sunitinib was shown to improve progression-free survival (PFS) back in 2007. Since then, there have been several “me too” drugs that have shown very comparable efficacy and different toxicity profiles, but really no advances. When we look back at the ESMO Congress, we had sort of the first combination with nivolumab and ipilimumab, which was shown to improve OS versus sunitinib in the frontline setting. That was sort of a breakthrough and the first of its kind. [That combination] has revolutionized RCC given the improvement in OS in patients with poor- and intermediate-risk disease. Since then, we have had the data from IMmotion151 with the combination of atezolizumab and bevacizumab—again showing improvement in PFS. The OS data are not yet mature. There have also been several very encouraging phase I results with combinations of tyrosine kinase inhibitor (TKI) therapies and PD-1/PD-L1 blockade with very impressive response rates of 60% to 70% in some of these studies. Additionally, there are several ongoing phase III trials that we are anxiously awaiting. [Combinations already are standard of care] in the United States with the FDA approval for nivolumab and ipilimumab. Do all patients with RCC need combination therapy? That is an important question that, to be honest, I do not feel we know the answer to. That is something as a community we need to work to figure out. Ipilimumab and nivolumab was compared with sunitinib in the frontline setting and showed an improvement in OS. There are a couple caveats with that study. If you look at those patients with good-risk disease, the PFS was higher with sunitinib than with the combination. That [trial] led to the FDA approval for nivolumab and ipilimumab for patients with poor- and intermediate-risk disease. Right now, while there is still some activity with [immunotherapy] in those with good-risk disease, a TKI therapy is very appropriate for those patients. The second caveat is that patients on the CheckMate-214 trial were accrued prior to the approval of immunotherapy in the United States. Less than 30% of patients who got sunitinib crossed over to receive immunotherapy. They did not allow crossover until the data were reported [in 2016.] Had everyone who received sunitinib been able to receive immunotherapy in the second-line setting, would will we still see that same magnitude of benefit? We do not know that answer. I feel that the current trials, which have a comparator arm of sunitinib, still have equipoise. The patients who get randomized to sunitinib, provided if they progress, then get randomized to a second-line immunotherapy-based regimen, may be getting the same degree of benefit. Does the benefit outweigh the added toxicity with combination therapies? The data of clinically meaningful benefit is a discussion between the physician and patient. What some patients view as unnecessary toxicities may not be the same as what others view as unnecessary. That is something that has to be done on an individual basis with each patient. What ongoing trials is the Dana-Farber Cancer Institute participating in? We are participating in several ongoing phase III trials. The CLEAR study is looking at sunitinib versus the combination of lenvatinib (Lenvima) with everolimus (Afinitor) versus the combination of lenvatinib with pembrolizumab (Keytruda). There is also the CheckMate-9ER trial, which is looking at the combination of nivolumab and cabozantinib (Cabometyx) versus sunitinib in the frontline setting. We are accruing to those trials and anxiously look forward to the results. Motzer RJ, Tannir NM, McDermott DF, et al. Nivolumab plus ipilimumab versus sunitinib in advanced renal-cell carcinoma. N Engl J Med. 2018;378(14):1277-1290. doi: 10.1056/NEJMoa1712126.